MENDENG Men's 8 Pack Mixed Paisley Floral Pocket Square Wedding Handkerchief | What Should I Say? Material: Polyester and Silk,High quality,classic fashion design,it is suitable for Business/Meeting/Wedding/Party/Casual. 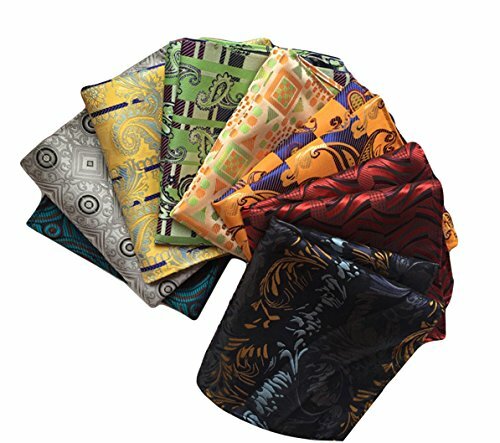 Package Includes: 8 x 100% Brand New Classic Paisley Floral Men's Handkerchiefs.